The release this week of the Montreal Economic Institute’s telecommunications report has the feel of a last gasp for a dying argument about the state of Canadian wireless. Gone are the days of telecom companies and their supporters denying that Canadian wireless prices are high relative to other countries. In its place are arguments seeking to justify high prices on the basis of claims that Canada has better networks and challenging geography. What is striking about the latest report is how these arguments fail upon closer inspection with the MEI resorting to creating incomplete data charts on network quality and failing to grapple with countries that have better networks, better pricing, and less wireless density. MEI relies on two sources for its comparative look at wireless speeds: Ookla and OpenSignal. It argues that Canada ranks 6th in the Ookla report among OECD countries and 9th in the OpenSignal report among the 34 countries surveyed. To illustrate its point, it created two charts to display the rankings. The report then claims that “international metrics have consistently shown that Canada has some of the highest quality wireless networks in the world.” Yet a review the latest source documents reveals that MEI has excluded many of the countries surveyed. In the Oookla report, Canada actually ranked 9th (not 6th) as the MEI report simply excludes non-OECD developed countries such as Singapore and the UAE. The MEI chart is on the left, the rankings it used on the right (Canada has dropped further in the current rankings to 10th). In the OpenSignal report, there are many more than 34 countries surveyed and Canada ranks 11th (not 9th) with Singapore and Bulgaria both excluded from the MEI rankings. The MEI chart is on the left, the actual rankings on the right. The Nordicity study does not take into account one key geographical factor affecting cost, which is the fact that Canada has a relatively small population on the second largest landmass in the world. Even if we subtract the substantial portion of the territory which is uninhabited, the density of wireless connections per square kilometer in Canada is the fourth lowest among 35 OECD countries, just above Norway, Australia, and Iceland. Yet the three countries that are less densely populated than Canada – Norway, Australia, and Iceland – all rank ahead of Canada in the speed tests that MEI relies upon. In the Open Signal data, Norway ranks 3rd and Australia ranks 7th (Iceland is not included). In the Ookla data, Norway ranks 1st, Iceland ranks 2nd, and Australia ranks 8th. Not only do those countries provide faster speeds than Canada in less densely populated markets, but all also provide better consumer prices. According to the recently released Rewheel data, 30 euros buys 2 GB of data in Canada, 5 GB in Iceland, and 30 GB in Australia and Norway. In fact, a simple comparison for pay-as-you-go prepaid options shows how badly Canada compares to those countries with faster networks and less wireless density. Here’s Rogers pay-as-you-go plan for $50: unlimited texting, evening calls, and 500 MB. By comparison, here’s Telstra’s pay-as-you-go plan for A$50 (or about $48) in Australia: unlimited texts, unlimited calls, unlimited international calls to 10 countries including Canada, 15 GB of data, rollover data of up to 50 GB, and $15 credit for any additional charges. 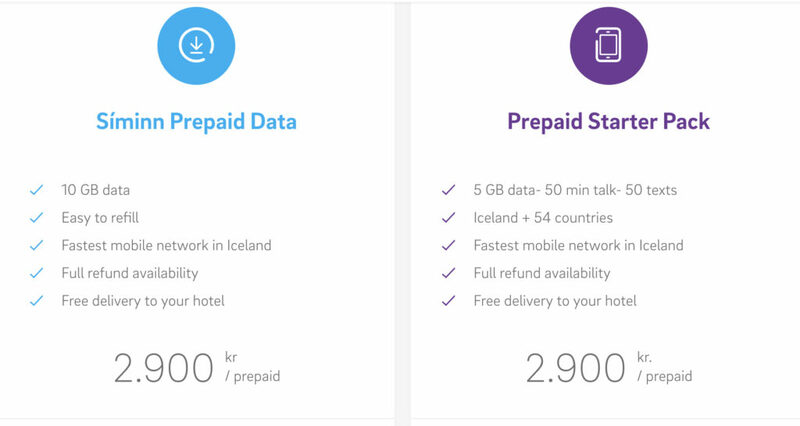 In Norway, Telia’s 299 kroner (about $48) pay-as-you go package: unlimited calls, unlimited text, and 3 GB of data. In Iceland, Siminn’s 2900 krona (about $37) pay as you go package: 50 texts, 50 minutes of calls, and 5 GB of data. There is also a data-only package at the same price for 10 GB of data. In every case, Canada offers slower speeds and has greater wireless density, yet is far more expensive. The reason is obvious: it is not geography or fast networks that distinguish Canada. In a country that ranks dead last in the Rewheel wireless data, it is the lack of competition. Great article and excellent research. Thanks for helping to expose the fraud that is Canadian wireless pricing and services. Excellent analysis, Dr. Geist. It’s too bad you’re not a CRTC Commissioner so when arguments such as MEI’s – or the fake Astroturf group that fronts for Bell Canada – are raised you could take them down. Great article, one can only hope it gets more attention and traction in wider news sources.